Enjoy a stay at the Novotel Suites Reims Centre hotel, where you can discover the Champagne region and immerse yourself in the rich heritage of Rheims. #FeelWelcome in the Champagne region. Discover the "City of the Sacred" with Novotel Suites. 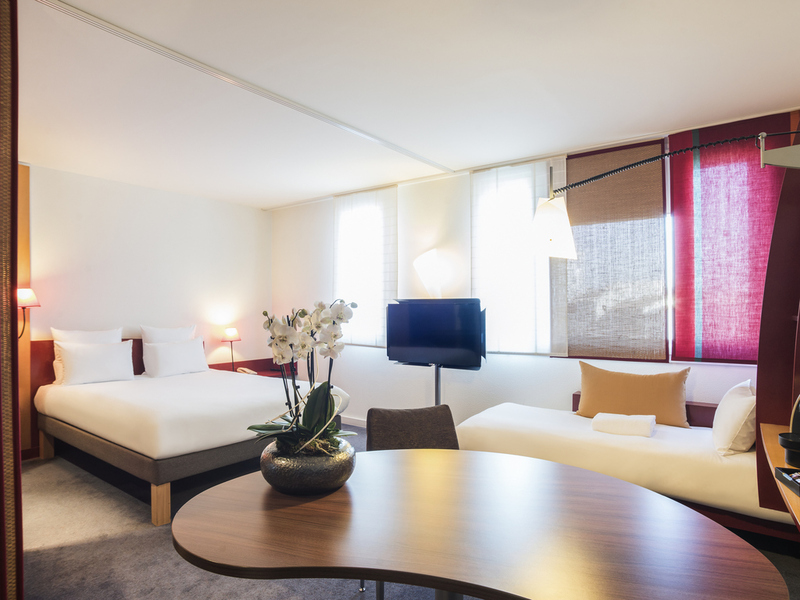 Just a 5-minute walk from Reims Centre train station and 10 minutes from the city center and convention center, the Novotel Suites Reims Centre hotel features air-conditioned and soundproofed suites measuring 323 sq. ft. (30 m²), ideal for business trips or family getaways. On Thursday evenings, you can unwind with a relaxing back massage. A spacious bar with a cozy and inviting atmosphere, just perfect for relaxing. Whether you are meeting a business contact or catching up with friends, this is the perfect place to enjoy a beverage in good company.